President and CEO of Kvaerner Masa-Yards. Promenade also features inside staterooms with a view. Savoy theatre seats 1,320 guests. 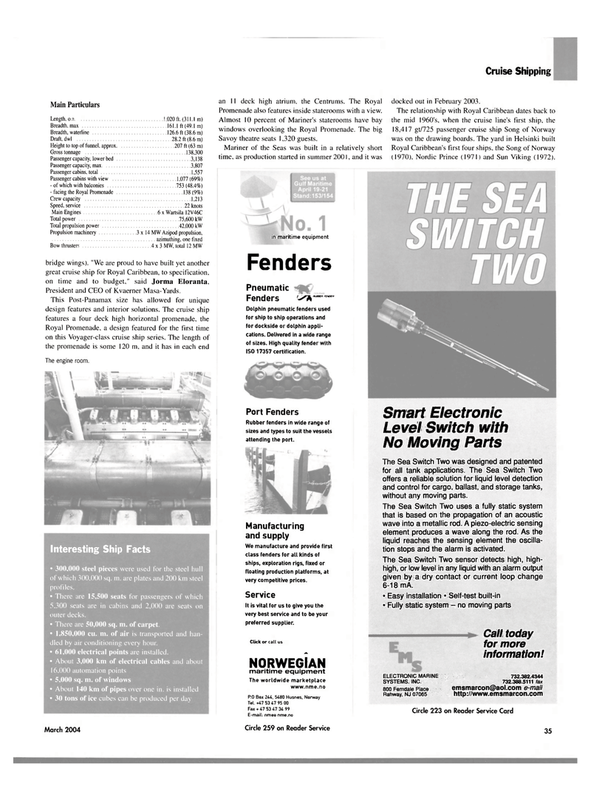 The Sea Switch Two was designed arid patented for all tank applications. The Sea Switch Two offers a reliable solution for liquid level detection and control for cargo, ballast, and storage tanks, without any moving parts. We manufacture and provide first class fenders for all Kinds of ships, exploration rigs, fixed or floating production platforms, at very competitive prices. It is vital for us to give you the very best service and to be your preferred supplier. Rubber fenders in wide range of sizes and types to suit the vessels attending the port.